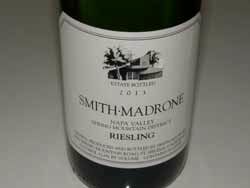 Smith-Madrone is located in the Spring Mountain District in St. Helena, Napa Valley. 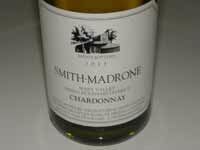 Founded in 1971 by Stuart Smith, the winery is owned and managed by brothers Stuart Smith and Charles F. Smith III who is the winemaker. 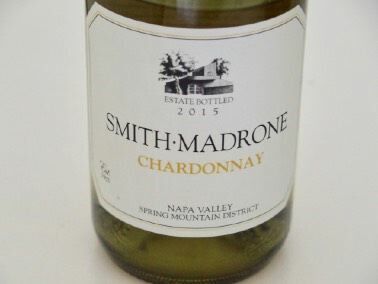 The name is a tribute to the Smith brothers and the predominant tree, the Madrone evergreen, on the ranch. The wines are made entirely from the winery's dry-farmed (except for young vines) 38-acres of estate vineyards surrounding the winery which are planted to Riesling, Chardonnay and Cabernet Sauvignon. Production is about 4,000 cases of 100% estate grown Chardonnay, Riesling and Cabernet Sauvignon per year. Tours and tastings are by appointment, always conducted by one of the Smith brothers.